The Hyperwear Hyper Vest is a 10 pound adjustable weighted vest that suits both men and women. 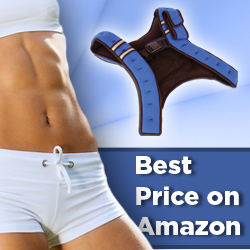 It will add resistance to your workouts allowing you to get a better return for each exercise that you do. The vest has an innovative design with high-density steel weights that are fitted close to your core. This means you should experience minimal movement and a comfortable fit.